A mini tummy tuck is a modified tummy tuck that uses a C-section-like incision to tighten muscle and remove excess lower abdominal skin. 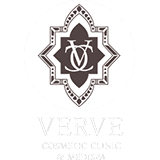 This surgical procedure is offered as Verve Cosmetic Clinic. Sometimes, it does not matter how much exercise or dieting that we do, we cannot get rid of excess fat on our bodies. Of course, there are also other factors that can play into that and affect weight loss. These include pregnancy and genetics, which can stop us achieving our ideal body goals. A mini tummy tuck is a way to remove stubborn fat and loose skin to achieve a contoured shape and a flatter and firmer abdominal area. What Happens during a Mini Tummy Tuck Procedure? The mini tummy tuck procedure is simply and not as long as a traditional tummy tuck. The mini tummy tuck uses a shorter incision just at or above the pubic region, similar to the incision for a caesarean section. This means that any scarring that is left should be conceal with your underwear or swimwear. The excess fat and skin will then be removed from the area. This will allow the abdominal muscles to tighten. The belly button does not require repositioning. This procedure takes around one to two hours to complete. Does a Mini Tummy Tuck Procedure Hurt? The mini tummy tuck procedure should not hurt the patient. A local anaesthetic will be administered before the treatment begins so that patients are as comfortable as possible through the procedure. There are some side effects from a mini tummy procedure. It is normal to experience some swelling and bruising in the initial recovery stages, as well as there being some discomfort. But, this will gradually fade in the next two weeks. An elastic compression garment may be offered to help with the healing process and to reduce any swelling or pain that you are experiencing. Is there any Downtime Associated with a Mini Tummy Tuck Procedure? Recovery for a mini tummy tuck is shorter than the traditional tummy tuck recovery, but it does still require some downtime. It is important to stress that this procedure is still considered as a complex surgical procedure. This means that the recovery will be around seven days and time off work will be required for rest and to make sure that the incisions heal properly. Any strenuous exercise should be avoided for a number of weeks that is advised during your consultation. This can be up to six weeks, but you can more around and engage in light activities for exercise. Who are Suitable Candidates for a Mini Tummy Tuck Procedure? The ideal candidate for a mini tummy tuck has most of his or her issues below the belly button, and it is usually recommended for patients who have always been in pretty good shape but have plateaued with diet and exercise. Anyone who is considering pregnancy should wait until after children and then be assessed for the tummy tuck procedure. This procedure is ideal for people who have less excess tummy area skin or fat that is localised in the mind-abdomen area and want to tighten the abdominal area below the belly button. This is as opposed to greater excess skin bound in a broader area. Normally, this fat is stubborn and will not decrease when combined with a healthy diet and regular exercise. If you would like to find out more about a mini tummy tuck and what your options are, you can contact us today and arrange a consultation with Dr Alia Nasser. Who is suitable for a Mini Tummy Tuck? The ideal candidate for a mini tummy tuck is someone with localized excess skin or fat—usually between the belly button and pubic bone—as opposed to greater excess skin or fat found in a broader area. Good candidates for a modified approach to fixing a slack tummy are in good health but find that diet and exercise hasn’t helped the issue. A mini tummy tuck entails removing skin and tissue from the lower abdomen and repairing the weak muscles on the inside without repositioning the belly button (which is generally required in a full abdominoplasty). Who is not suitable for a Mini Tummy Tuck? Anyone who is considering pregnancy should wait until after children and then be assessed for the tummy tuck procedure. What is the recovery for a Mini Tummy Tuck? Recovery for a mini tummy tuck is shorter than the traditional tummy tuck recovery. It is important to stress that this procedure is still considered as a complex surgical procedure. Recovery is approcimately 7 days. Mini Tummy Tuck procedure prices begin at $6,000. The procedure is performed in hospital and hospital charges will apply, please contact us for more information.